Looking for a change of pace from red salsa? 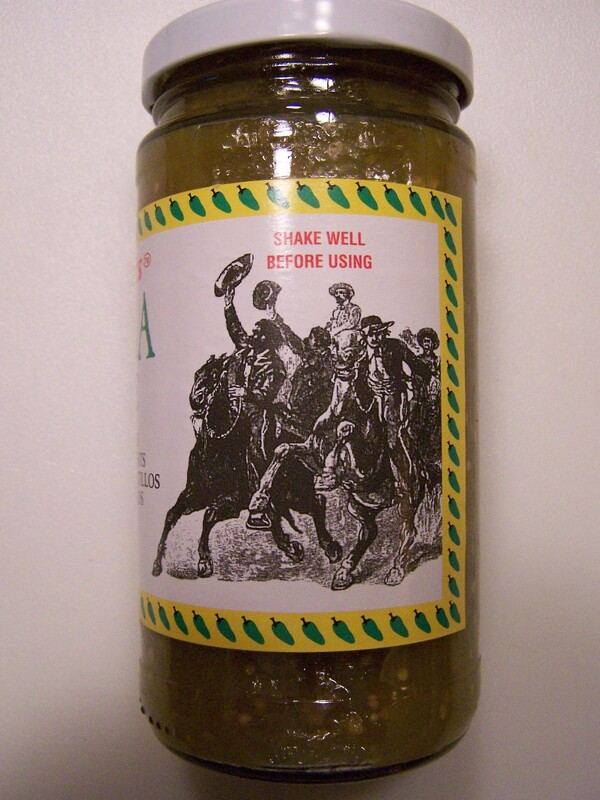 Try TJ’s green salsa. The label’s heat index puts this on the mild side of center. I agree. This is a nice change of pace from the typical tomato based salsa. And with a low heat index, it’s a pretty safe bet you or your guests will give it a second try. It’s interesting that there aren’t more green salsa’s on the shelf or even in the restaurants. Even the jar and label sort of suggest that TJ’s supplier is relatively small and this salsa might be made in small batches. Both the jar and the label are very plain when compared to the commercial red stuff on the supermarket shelves. 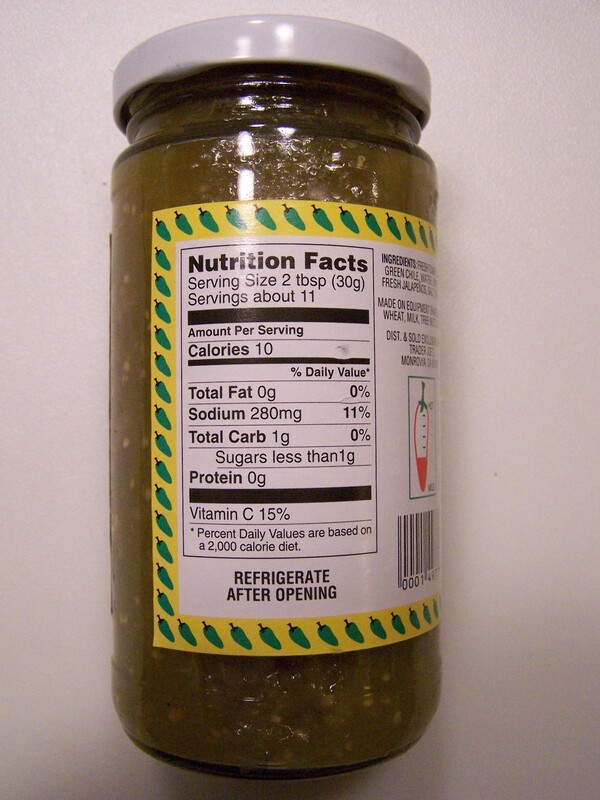 Green salsa is (generally) made from tomatillos. While the name and the appearance might make us think this is a green tomato, it’s not. It’s a completely different plant. 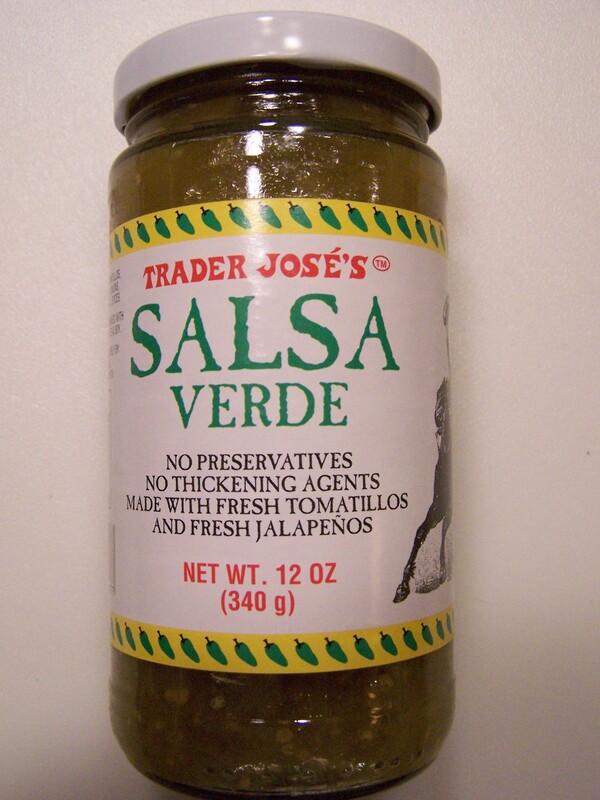 TJ’s Salsa Verde is a little on the thin side when compared with most canned red salsa. As the plant is different, so is the taste. This one has a little sour salty taste to it. But it’s a very mild sour and salty taste. There’s nothing to turn anyone away. The mild taste combined with the mild heat makes this very neutral and low risk to try. So go give it a try. This entry was posted on 07/16/2011 at 13:00 and is filed under Recipes, food, cooking and related items, Trader Joe's, Vegetarian. You can follow any responses to this entry through the RSS 2.0 feed. You can leave a response, or trackback from your own site.